Hannibal. 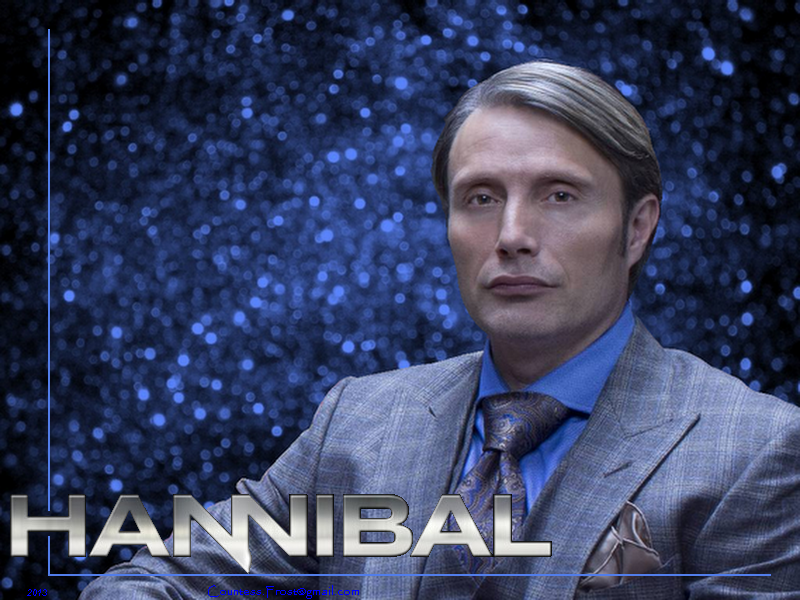 'Hannibal' - a 바탕화면 created 의해 me (TheCountess) featuring Mads Mikkelsen as Dr. Hannibal Lecter in NBC's TV show 'Hannibal'. HD Wallpaper and background images in the 한니발 TV 시리즈 club tagged: hannibal nbc tv show dr. lecter hannibal lecter mads mikkelsen cannibal fan art wallpaper thecountess. This 한니발 TV 시리즈 wallpaper contains 신사복, 비즈니스 정장, 옷 한 벌, 한 벌, 옷, 양복, and 정장. There might also be 세 벌의 양복, 3 피스 슈트, 3 개 조각 한 벌, 핀 스트라이프, 여유 소송, 한산한 옷, and 느슨하게 옷. 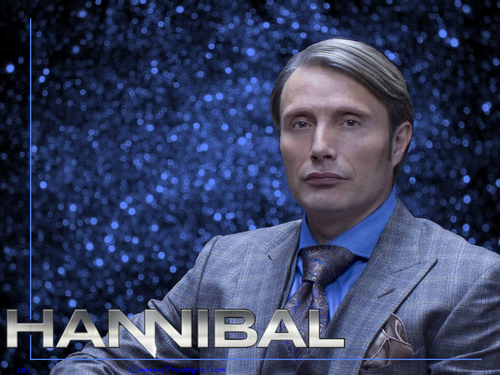 Since Hannibal's wearing so much blue, I thought it would make a good backdrop. For me, it's kind of a cross between dream-like and nightmarish.